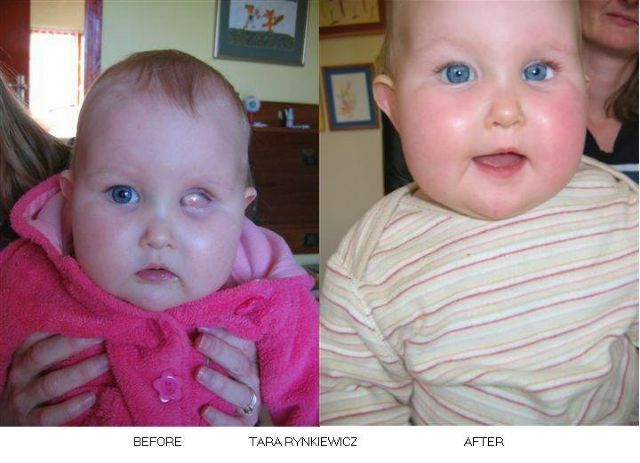 Retina blastoma is eye cancer that can be diagnoses just before the 3 years age. Most of the time it will affect both eyes or sometimes one eye. Like they say on the internet these tumours are vitreous seed and are very difficult to be treated. Regarding the operation: when my son was diagnosed with eye cancer it was a little bit too late for doctors to do anything, however they did try some treatment. 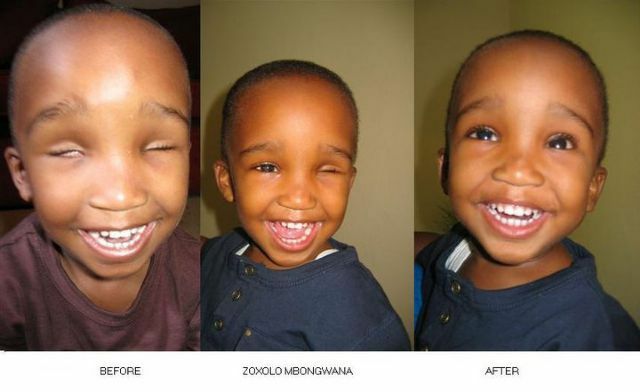 The one eye was completely damaged and second one was half damaged and at the Red Cross Hospital doctors tried chemotherapy to save the right eye after the removal of the left eye. We were later referred to Groote Schuur Hospital for radiation. After awhile, we found out both did not work and that resulted in the removal of the second eye. It was very painful to see him going through the treatment, as he was very sick, especially after taking chemo. The first prosthesis was fitted just before the right eye was removed, so I was happy to see him with it. I had hoped that even if the eye ball was removed, that there would be something that could be fitted in his socket. Both eyes are still performing well together with the lubrication Vida suggested. Left eye removed 08-08-2007 and the right eye in 10-06-2008. Fit with the first conformer in November 2007 and first prosthesis fitted in February 2008.